Pau d'arco comes from the inner bark of the tabebuia avellanedae tree, native to South America. Because its wood is extraordinarily strong, the indigenous people used it for joint comfort, cleansing and even prostate health. Today it is mostly prized for its benefits to the immune system. Liquid extracts work faster and more completely than other forms of supplementation. There are no pills to swallow, no herbs to press, or tea to steep. Plus, liquid nutrients are absorbed quickly, so they get to work right away. What's more, liquid extracts preserve active constituents and have a very long shelf life. They are also the ultimate in convenience-just add them to water, tea or juice and enjoy a tasty nutritious boost at home, work or on-the-go. 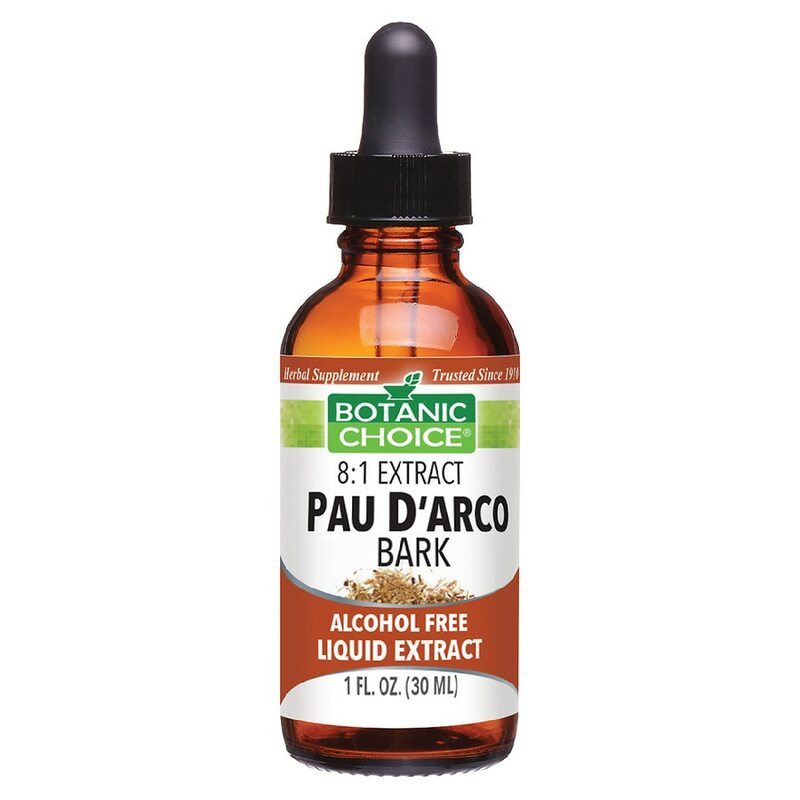 Our pau d'arco bark liquid is packaged in a brown, light-resistant bottle with easy-to-use dropper. Stay strong and healthy with pau d'arco bark liquid extract. Mix 1-2 mL (28-56 drops) in a little water. Use 3 times daily, as a dietary supplement or as directed by a physician. Shake well. Store in a dry, cool place.. © 2011 Indiana Botanic Gardens, Inc.